I first made a variation of orange chicken about a year ago. 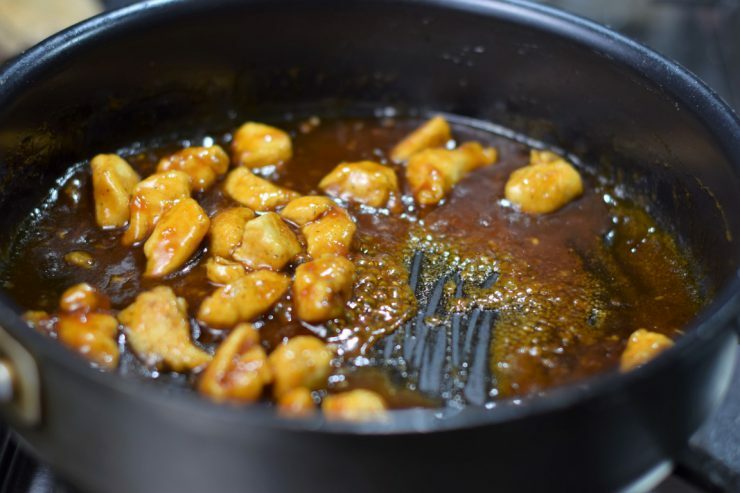 I looked up several different recipes for orange chicken and for sweet and sour chicken and ended up using a combination of three recipes to create my version of the meal. It turned out great but I was an idiot and forgot to write down what I did. I won’t be making that mistake again! In order to save time and get dinner on the table quicker during the week, I typically make rice in large batches, freeze some and keep the rest handy in the fridge for meals. Last week, I had a lot of rice leftover in the fridge so I decided to try recreating my orange chicken recipe. I scanned a few recipes again like I did before and swapped out and modified some ingredients. I don’t think it’s quite the same recipe I made last year, but here is my latest version of Orange Chicken! 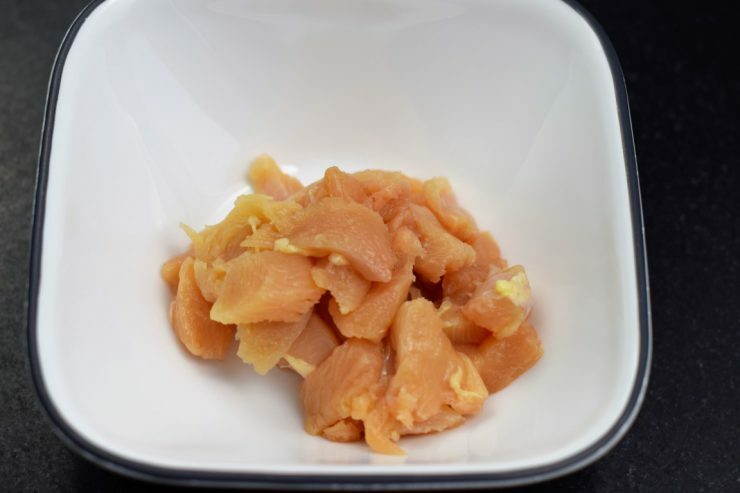 Cut 1 chicken breast into bite-sized pieces. Season the chicken with salt, pepper and cumin. Then coat the chicken in cornstarch. 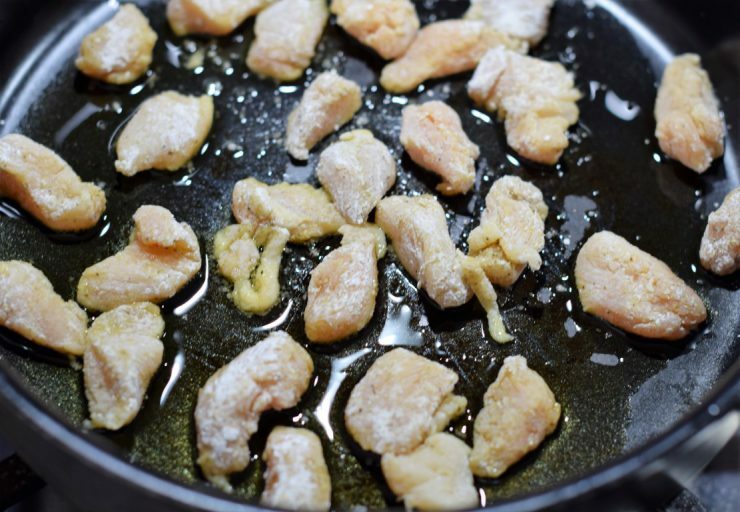 Heat olive oil in a pan over medium-low heat and add the chicken. Use tongs to flip the chicken so it browns evenly on all sides and cooks all the way through. Meanwhile, in a medium-sized bowl, combine brown sugar, water, soy sauce, rice vinegar, minced garlic, orange juice, ketchup, salt and pepper. Pour the mixture on top of the chicken and let it simmer so the chicken can absorb the flavors. While the sauce is simmering, steam a head of broccoli. 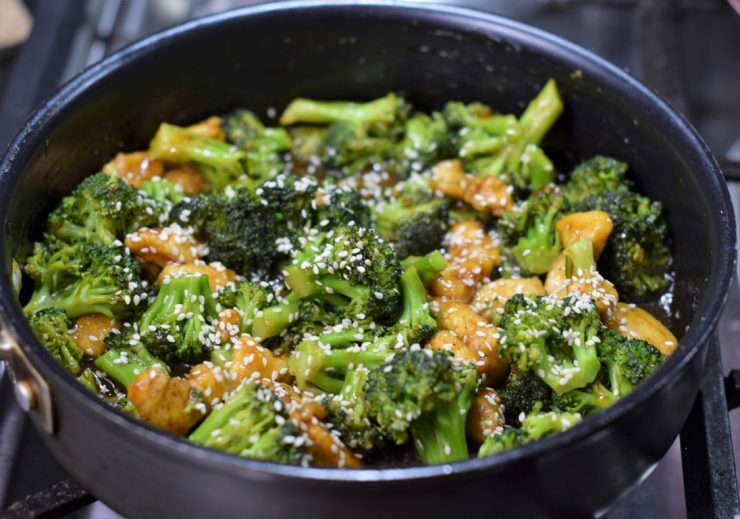 While the broccoli is cooking, spoon out some sauce from the pan into a a small bowl. Stir in the cornstarch and mix well. 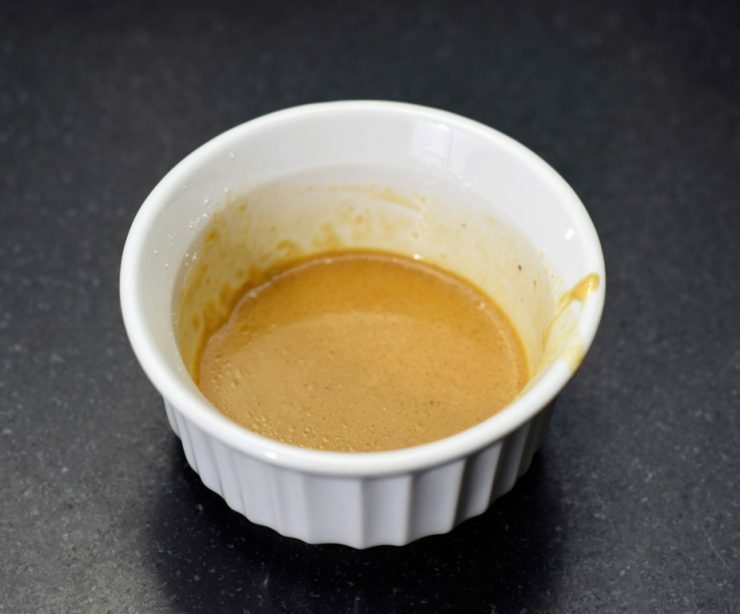 If it gets too thick, add more sauce and mix again until you create a slightly thick liquid. Transfer the mixture back to the pan and gently stir. This will thicken the sauce perfectly. As soon as the broccoli is done cooking (it’ll turn bright green), transfer it to the pan with the chicken and gently stir to mix. Add in sesame seeds. 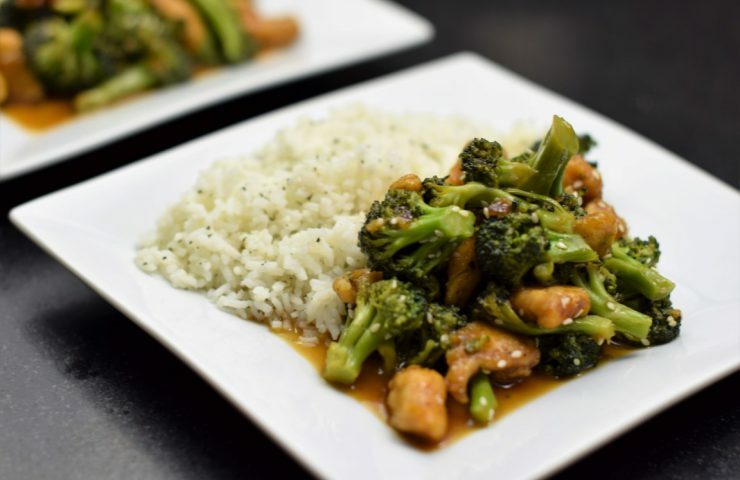 Serve the orange chicken and broccoli immediately with cooked rice and enjoy! 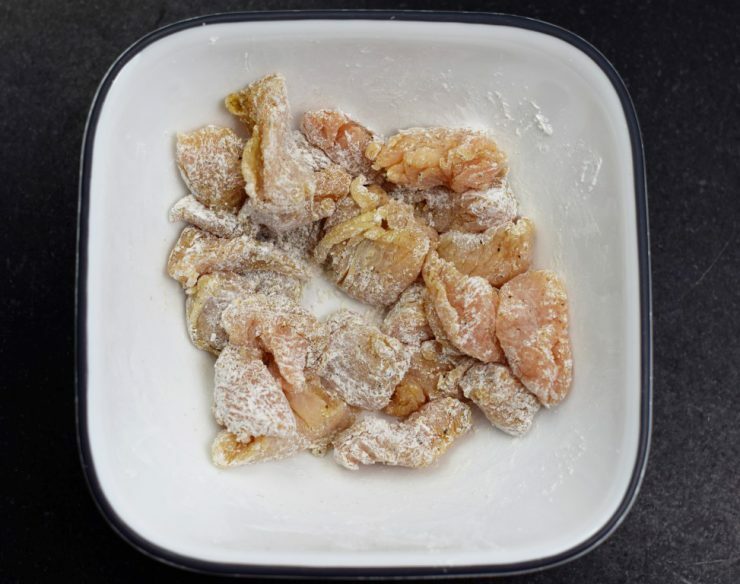 Cut 1 chicken breast into bite-sized pieces, place in a small bowl and season with salt, pepper and cumin. 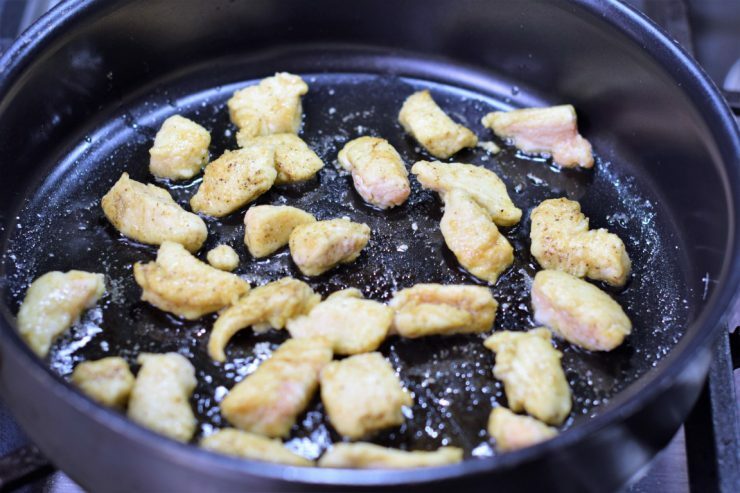 Toss the seasoned chicken with 1 tbsp cornstarch until all pieces are lightly coated. Heat olive oil in a pan over medium-low heat. Add the chicken to the pan and use tongs to flip the pieces until all sides are lightly browned and the chicken is cooked through. In a medium-sized bowl, combine brown sugar, water, soy sauce, rice vinegar, minced garlic, orange juice, ketchup, salt and pepper. Slowly pour the sauce on top of the chicken and gently stir to coat the chicken. While the sauce simmers, begin steaming a head of broccoli. Then spoon some of the sauce from the pan into a small bowl. Add the cornstarch and mix well. 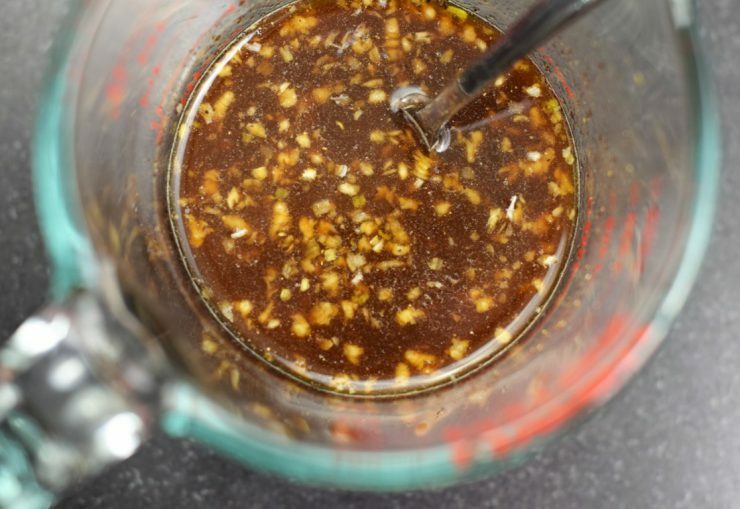 If it gets too thick, add more sauce and mix again until you're created a slightly thick liquid. 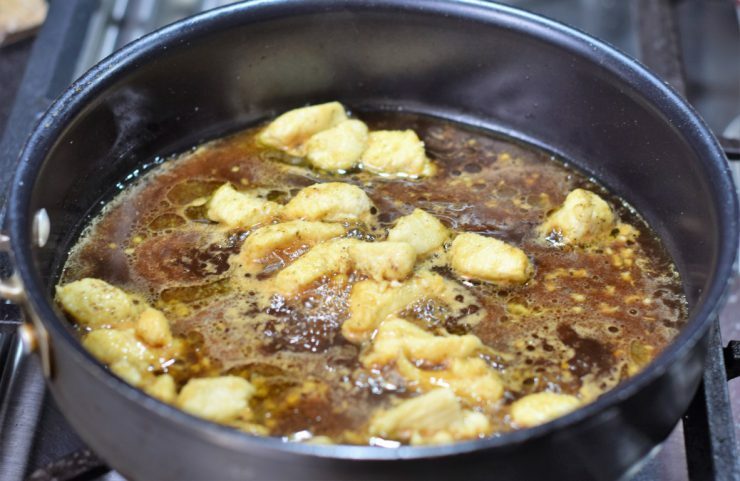 Once incorporated, add the mixture back to the pan and stir to thicken the sauce. 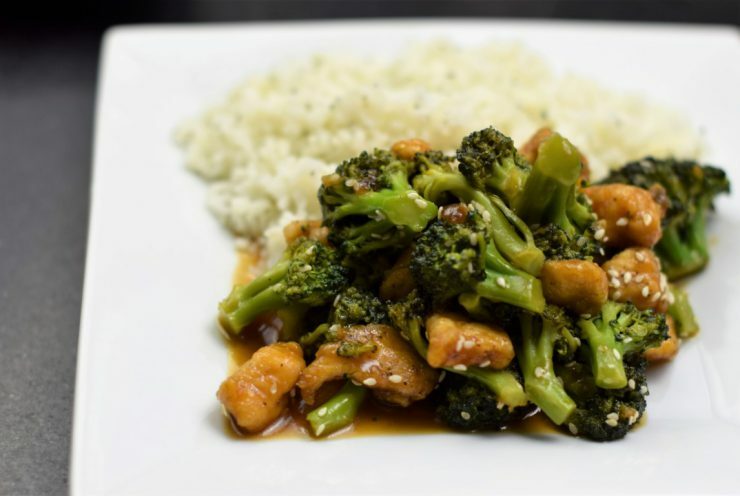 When the broccoli is done steaming (it just needs to turn bright green), add it to the chicken and sauce and toss to coat. Add in sesame seeds. « What are the recommended serving temperatures for wine?